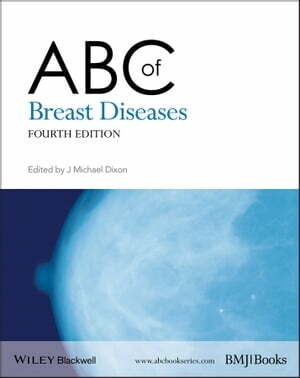 Collins Booksellers - ABC of Breast Diseases by J. Michael Dixon, 9781118471869. Buy this book online. The ABC of Breast Diseases provides comprehensive guidance to the assessment of symptoms, and how to manage all common breast conditions and provides guidelines on referral. It covers congenital problems, breast infection and mastalgia, before addressing the epidemiology, prevention, screening and diagnosis of breast cancer. It outlines the treatment and management options for breast cancer within different groups and includes new chapters on the genetics, prevention, management of high risk women and the psychological aspects of breast diseases. Edited and written by internationally renowned experts in the field and highly illustrated in full colour, this fourth edition remains a practical guide for general practitioners, family physicians, practice nurses and breast care nurses as well as for surgeons and oncologists both in training and recently qualified as well as medical students.